Ocean County is the location of more than 44 miles of the Jersey shore. Known for its healthy mix of live, work, and play, it’s a family friendly place with a lot to offer beyond the beach. Because of its proximity to the water, though, lawns in Ocean County require special care. The certified lawn technicians at Green Lawn Fertilizing are trained and equipped to treat the lawns here. Our locally owned company prides itself on its familiarity with the climate, weather, and soil conditions of every area we treat. 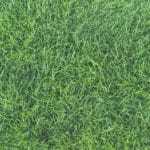 What Makes Green Lawn Fertilizing Special? We’ve spent years working towards our hard-earned reputation of excellence. Our employees are all committed to customer satisfaction and we promise premium results at an affordable, competitive price point. During our time in Ocean County, we’ve built lasting client relationships that have led to glowing online reviews and an A rating from the Better Business Bureau. 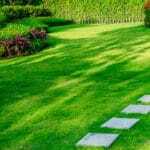 What Does Green Lawn Fertilizing Have to Offer? Green Lawn Service Program: seven applications applied approximately four to six weeks apart that contain fertilizer, broadleaf weed control, pre-emergent crabgrass control, balanced fertilizer, unlimited weed control, free service calls, and free soil pH testing for your lawn. Grub Control: a preventative application. Core Aeration & Seeding: a mechanical process that reduces soil compaction. Tree & Shrub Care: a seven-visit program. Flea & Tick Program: a four-application process. As the leading local lawn company, our goal is to ensure that your looks its best year-round. Contact us today at 888-581-5296 to set up a free lawn care estimate. 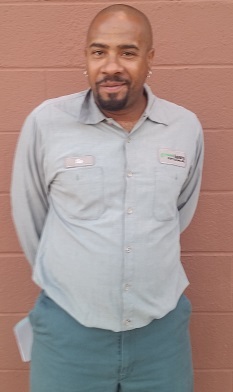 Service rep was very helpful and did a great job. Today I applied your round 6 application. 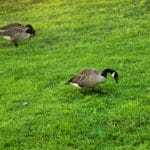 This will help lawn during cool winter months. Spot sprayed all active weeds. Today I applied your round 6 application. 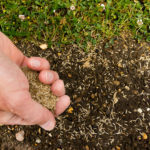 This will help lawn during cool winter months. Spot sprayed all active weeds. I treated pool area by hand. Today I applied round 6 treatment which consists of fertilizer granules that will break down with any moisture received. This is a nitrogen based food source for vegetation. I did not spray weeds per request. Today I applied round 6 treatment which consists of fertilizer granules that will break down with any moisture received. This is a nitrogen based food source for vegetation. I did not spray weeds due to possibly affecting the new seeds. Today I applied your round 3 treatment which consists of fertilizer granules and free insect control. The insect control will help fight off surface feeding insects. I spot sprayed weeds throughout the yard. Please allow 3 to 5 weeks to see full die off.